One of the posters this morning described visits from Cardiff University Medical Students to local secondary schools. The visits were to discuss alcohol awareness including the legal and social effects of alcohol. During the presentations, the students tried on ‘beer googles’ and then had to try an obstacle course. As you would expect most of the students failed. There was very positive feedback about the experience. 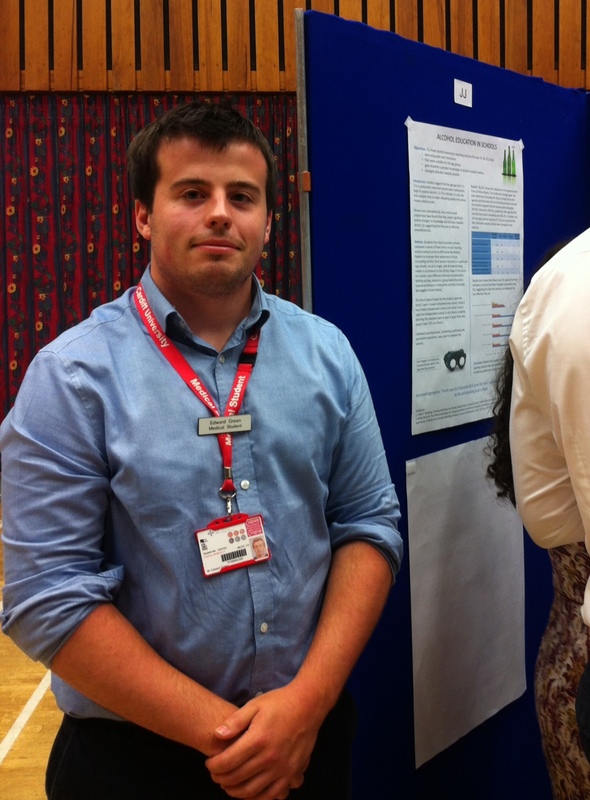 Edward Green and his poster about alcohol awareness.